Klasse v.2.0 is available since March 2014. This version is fully unicode compliant. It also has a lot of additional maps available. Here you can download the latest version of Klasse. After entering your licence key you will be able to download the Klasse Installer. 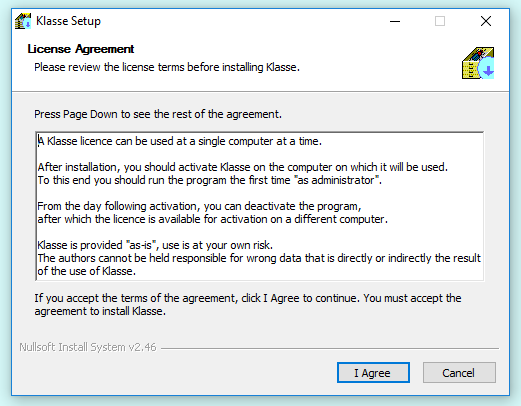 Running the Installer program on your computer will install the Klasse software. When installing Klasse 2.0 the first time, you should choose to download the complete package (even if Klasse 1 has been installed previously on your computer). Please note: the complete package is large (600 Megabyte), and downloading may take several minutes. When downloading updates to version 2.0 it is sufficient to only download the program itself (2 Megabyte). On a separate page you can find an overview of the improvements realised in each version. Please fill in your licence key, choose the download type and click the button. Download type: Complete package, including maps, gazetteers, catalogues etc. (rivers and altitude map of Europe only) (618 MB). Rivers worldwide [pro-version only] (292 MB). Altitude map Africa [pro-version only] (198 MB). Altitude map Asia+Australia [pro-version only] (519 MB). Altitude map Americas [pro-version only] (439 MB). 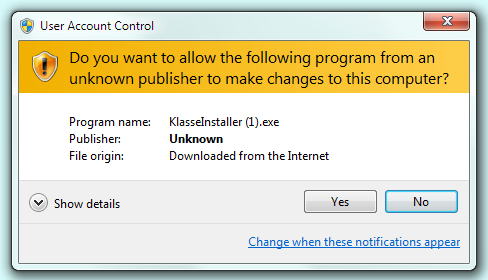 After clicking the download button, you will need the confirm that Klasse is a trusted software program. The exact procedure depends on the internet browser, windows version and security settings you are using. Click on the button Run to download and run Klasse Installer. Downloading the Installer will take several minutes. Once the Installer is downloaded, Windows asks again for a conformation. 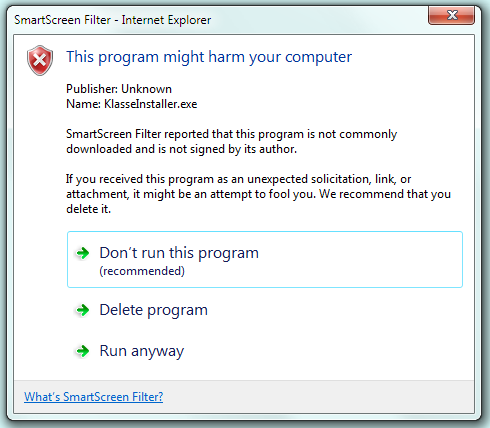 Ignore the warning by clicking Run anyway. Click on the button Save File. The downloading process can be followed in the upper right corner of the browser. Once the Installer is downloaded, you can click the KlasseInstaller icon. In Chrome downloading will start immediately. Downloading the Installer will take several minutes.. The downloading process can be followed in the bottom left corner of the browser. Now you can click on the KlasseInstaller icon. Next, you should tell Windows to allow the Installer to make changes to your computer. Click on Yes to allow the Installer to make changes to your computer. The next steps in the installation process are self-explaining. You will have to click on I Agree, Next, Install and Close. 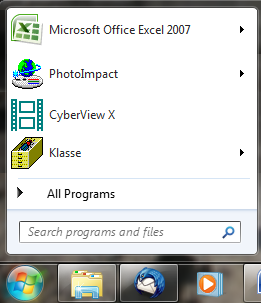 Klasse now has been installed on your computer: you will find the Klasse icon in the Start menu and on your desktop. The first time you use Klasse, run it "as administrator. Click the icon using the right mouse button, and choose "run as administrator". 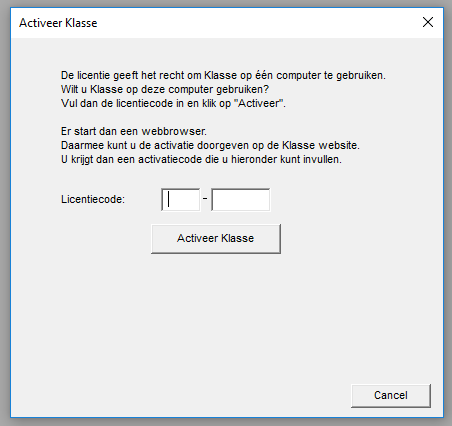 The first time, Klasse will ask for your licence key. Enter your licence key, and press button "Activate Klasse". which you can then enter in the dialogue box in Klasse. Now Klasse is ready for use!